The log was 66# and the axel was 84# for novice women. 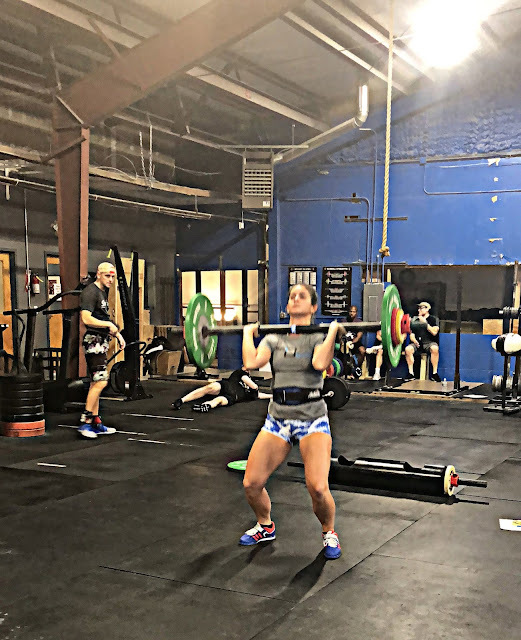 Last November I visited this gym in Baltimore that has an annual strongwoman competition and I got all excited and stalked Sarah Furman and taught myself how to clean and jerk the log with 75ish pounds. Very glad I did that because this felt easy. The axel was much more difficult. The axel bar has a larger diameter than an Olympic bar so it's kind of unwieldy and 85# is a relatively heavy push press/jerk for me if I'm going for reps. I won the event with 1+17 reps. Competitors will have 60 seconds to carry the farmer’s carry implements as far as possible. There will be a turn every 60-feet (properly marked), the competitor must hold on to the implements as they go through the turns. 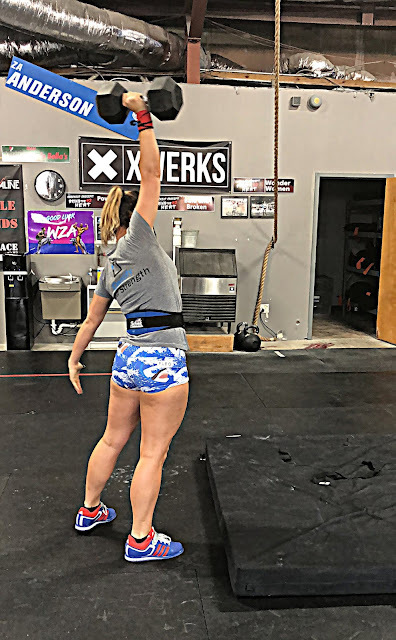 If the competitor drops the implements, they will not be allowed to pick them up again and the distance will be marked where the front on the implement touched the ground first (no sliding or bouncing them further). Furthest distance covered in the time frame wins. Novice women carried 103# in each hand. 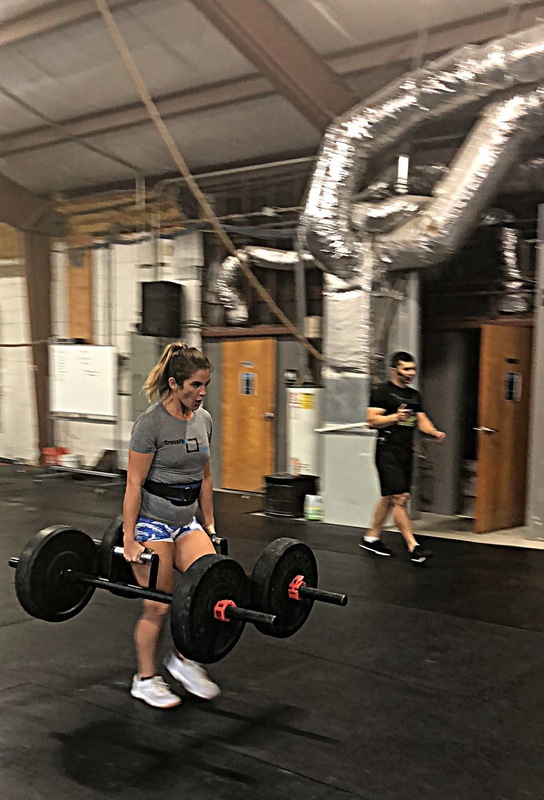 I tried using the farmer's walk handles once before during CrossFit class. I had just finished carrying 106# kettlebells and I completely bombed 115# with the handles. I was concerned about completing this event, but I did really well with fresh hands. I completed the 120 feet in 27.83 seconds and won the event. Competitor will have 90 seconds to load the stone to the appropriate platform as many times as possible. Once the stone has been loaded, the assistant will bring the stone to the ground for the competitor to continue. Most platform loads in time frame wins. 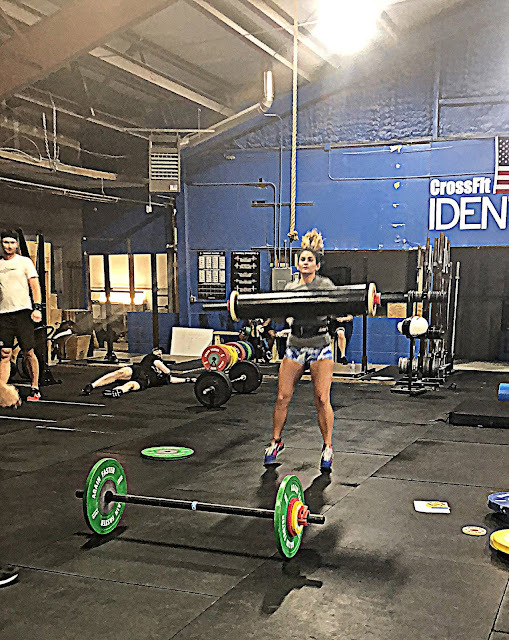 Novice women picked up a 75# Atlas stone and placed it on a 45 inch platform. My friend Lexi and I tied for first in the event with 18 platform loads. Competitor will clean and press the circus dumbbell implement (or other proper implement) as many times as possible in the 60 second time limit. The competitor will clean every repetition from the ground. Once the implement is overhead, the competitor must show lock out and wait for the judge to give the proper down command. The highest number of reps accomplished in the time frame wins. 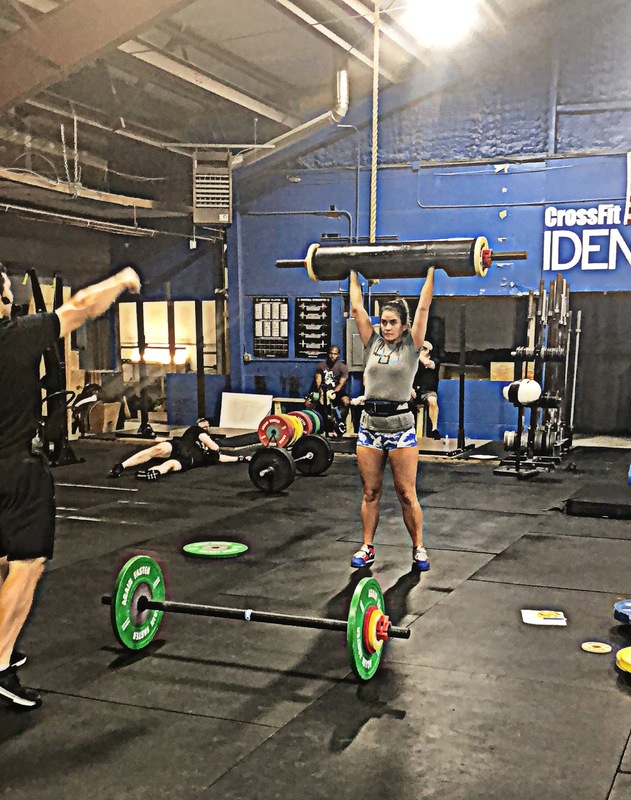 Novice women used a 50# standard dumbbell for this event instead of the circus dumbbell. I don't think I've picked up a 50# dumbbell in a workout, let alone put it over my head before this day. 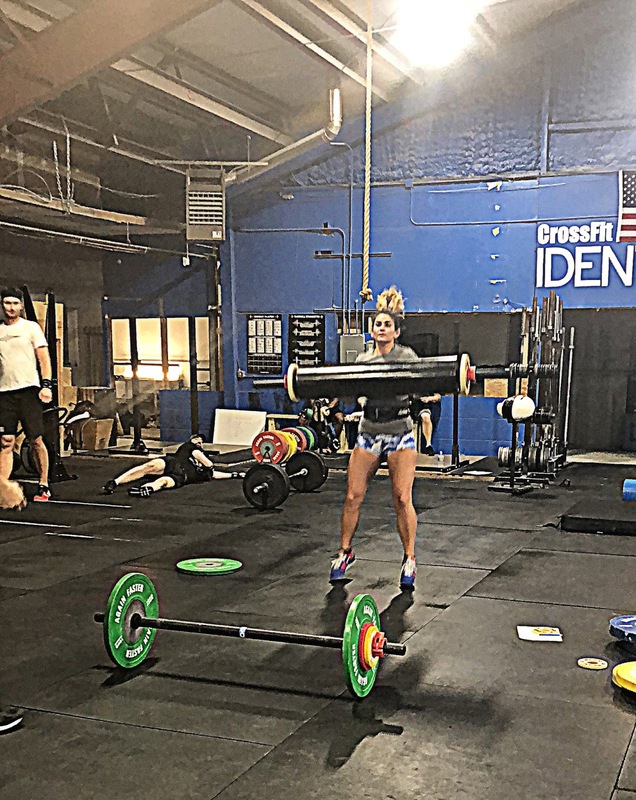 To put it into context, men have been using 50# dumbbells in the CrossFit Open workouts and women use 35#. The 35# dumbbells are heavy for me and I only use them for the Open and always scale down for training workouts. It took me a few reps to figure out how to lock out my arm for the jerk but it got easier as I got along. That crash pad was clutch for getting to the dumbbell down. Three of us competitors tied for first place in this event with 6 clean and jerks. Competitors will have 90 seconds to complete the entire medley. They will begin with the Yoke run for 60-feet; the front of the Yoke implement must cross the threshold line before the competitor can move on. 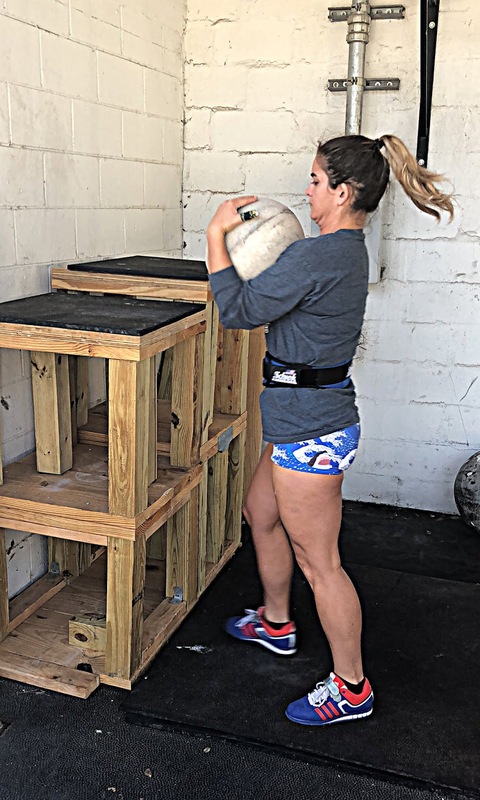 They will then pick up the sandbag and complete a sandbag run for distance (down and back between the 60-foot lane) in the remaining time. Scoring for this event will be added upon completion of each piece. 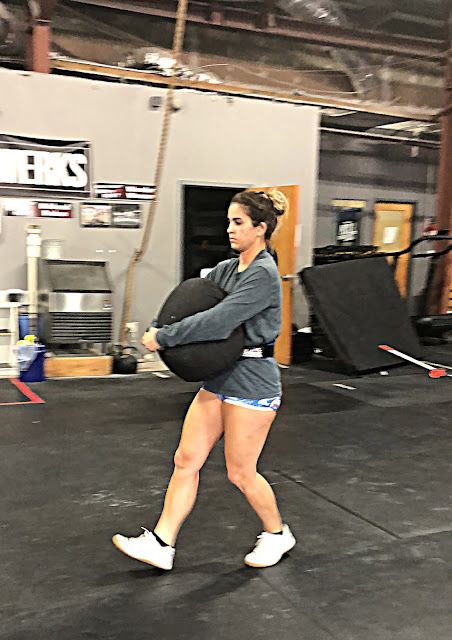 E.g., each run will consist of a split time for the Yoke (if the competitor does not carry for the entire distance scoring will be by feet carried, and the sandbag run provides a total distance score. The event started with a 205# yoke carry. I've never carried a yoke but it seemed straightforward enough. It took me 9.66 seconds to cover the 60 feet. I carried the 90# sandbag for 300 feet. Brandon had me carry it once for half a mile outside in the blazing Georgia July sun so 300 feet inside really wasn't so bad. I came in second place for the event. Next time I would know to go all out and not place the bag down to readjust. It was hard to breathe with the bag on top of my weight belt, and so I don't think I'd wear it next time. I really enjoyed myself. I think this could become my sport.